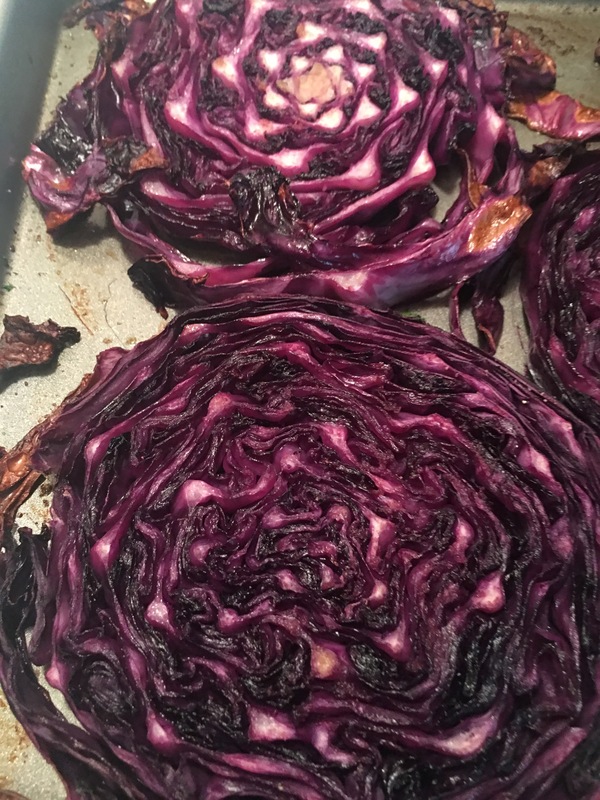 Roasted purple cabbage – Hurried Home Chef! 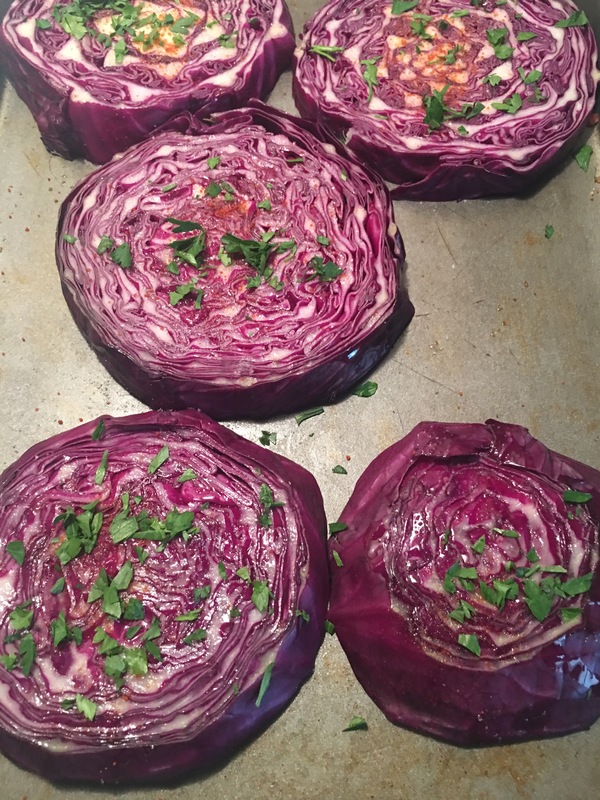 If you are avoiding the carbs, or just love the veggies, this one is for you! 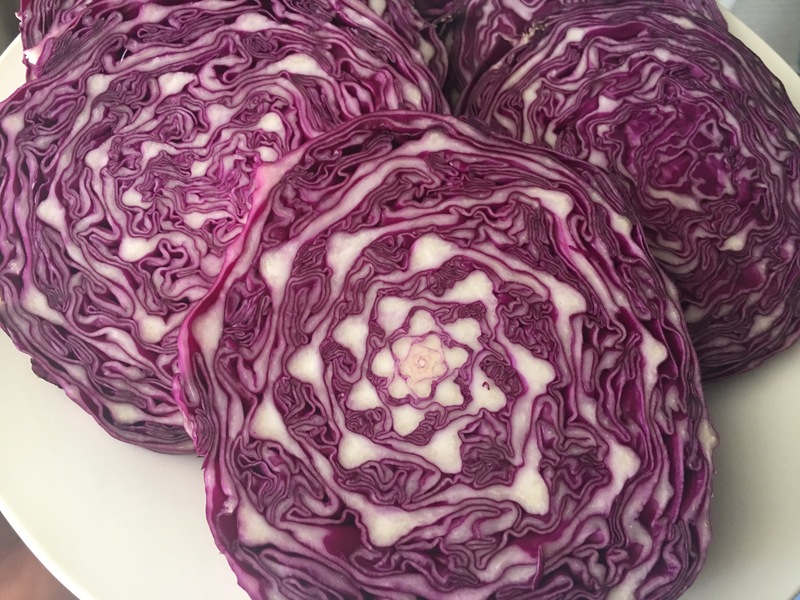 I used purple cabbage because it’s supposed to have more antioxidants and it’s gorgeous. Just cut into steaks about 1/2 inch, or just even no matter how large. I seasoned with Himalayan sea salt, cayenne and black peppers then rub with EVOO on both sides. I also put about 1/4 cup of water in the pan. Roast in the oven at 400F for about 20 minutes. It was so good! I ate it just like this, but you can also top this with fish, chicken, or steak for a low carb meal! Next Post Blue cheese and pecan stuffed chicken with spaghetti squash and sweet potatoes!